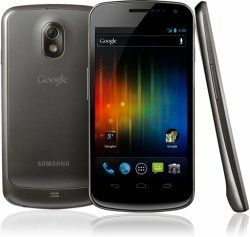 Apple seeks ban on Samsung Galaxy Nexus in US | What Hi-Fi? Apple is seeking a ban on the Samsung Galaxy Nexus after claiming patent infringements in the latest complaint, this time lodged in the US. The infringements focus on individual technologies including slide-to-unlock and auto-complete text. While a number of phones would be affected, Apple is clearly gunning for the Samsung Galaxy Nexus, currently the flagship Google handset. If Apple was to be successful, the phones could be removed from sale or more likely would be updated in order to remove any infringements. This is the latest in a long line of patent squabbles involving Apple. The company recently overturned a ban on iPads brought by Motorola in Germany, but faces new claims from a Chinese company over the iPad name.